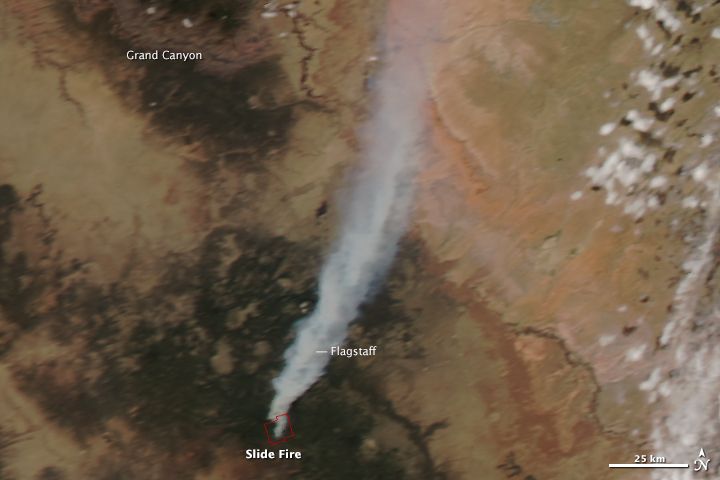 The Slide fire ignited in Oak Creek Canyon south of Flagstaff, Arizona, late in the afternoon of May 20, 2014. 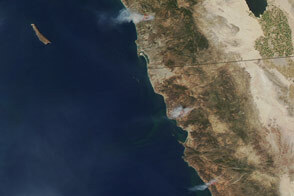 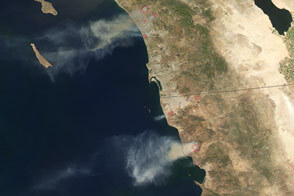 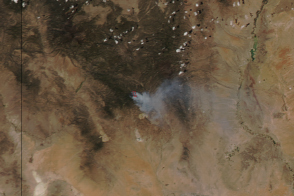 The Moderate Resolution Imaging Spectroradiometer (MODIS) on NASA’s Aqua satellite acquired this image of the fire on May 21, at 12:50 P.M. local time. 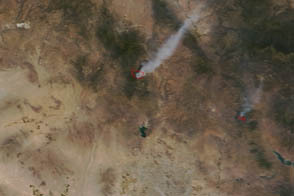 Smoke from the fast-growing fire streams north over Sedona and Flagstaff, affecting air quality in both cities. 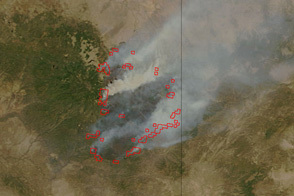 The fire burned 4,830 acres by the morning of May 22. 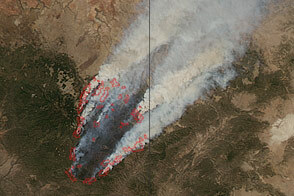 The Slide fire ignited in Oak Creek Canyon south of Flagstaff, Arizona, late in the afternoon of May 20, 2014. InciWeb (2014, May 22) Slide Fire. 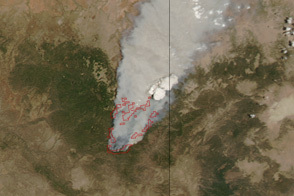 Accessed May 22, 2014. 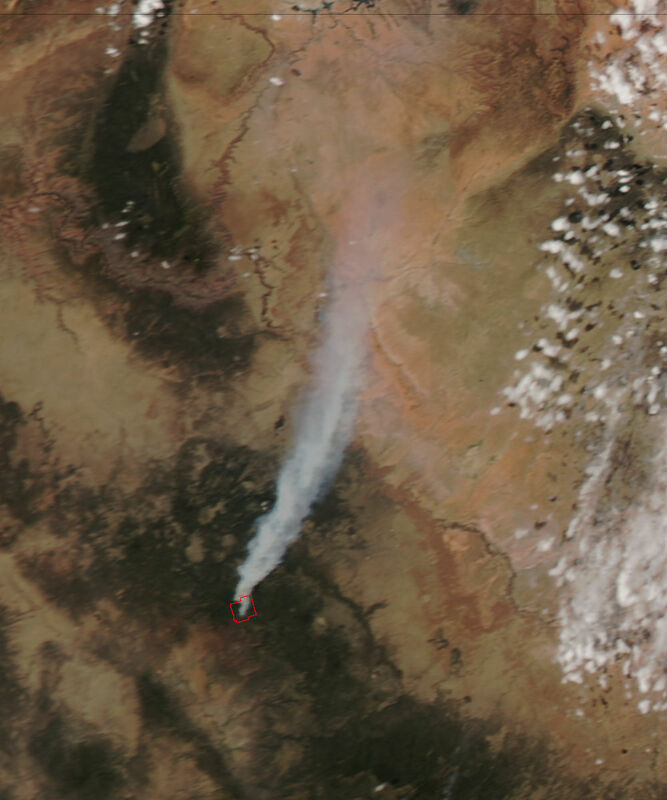 Arizona Daily Sun (2014, May 22) ADEQ warns northern Arizona residents to avoid fire smoke. 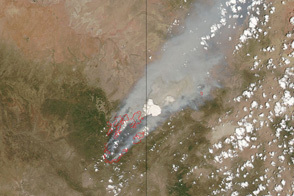 Accessed May 22, 2014.